The Board of Supervisors is the Township’s local governmental decision-making body. The Board is comprised of five members elected to serve six year staggered terms. The Board appoints a Chairman, Vice Chairman, and Secretary. 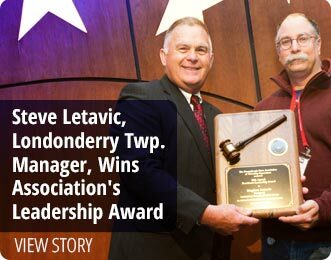 As the governing body, the Board is responsible for maintaining a fiscally sound, healthy, safe community for the residents of Londonderry Township through executing legislation, creating policies, levying taxes, authorizing expenditures, and overseeing the management of the township. The Board of Supervisors Regular Meeting is held on the first Monday of every month and the Work Session meeting is held on the third Tuesday of every month. For Work Sessions if there are no agenda items the meeting will not be held and no minutes will be published. Meetings are held at the Municipal Building, 783 S. Geyers Church Road, Middletown at 7:00pm. MEETING MINUTES WILL NOT BE POSTED UNTIL APPROVED.